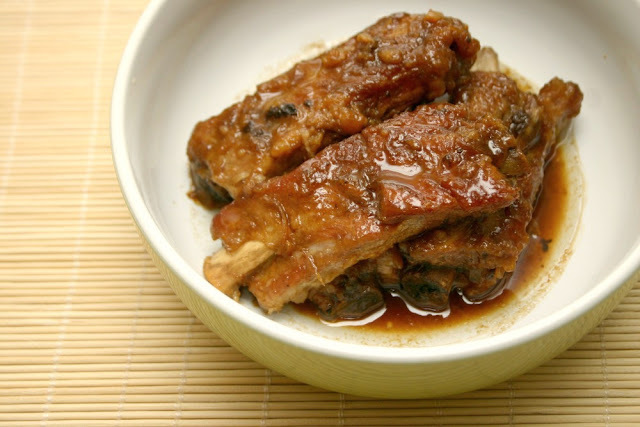 I recently had a hankering for some tender pork ribs and by that, I don't mean American style ribs with a sweet BBQ sauce. No, what I wanted was an Asian version with a salty, garlicky sauce perfect for drizzling over steamed white rice. 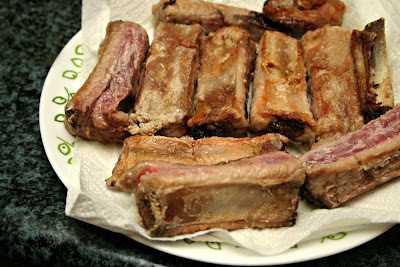 I bought some spareribs over the weekend and today, was finally able to quell my craving. 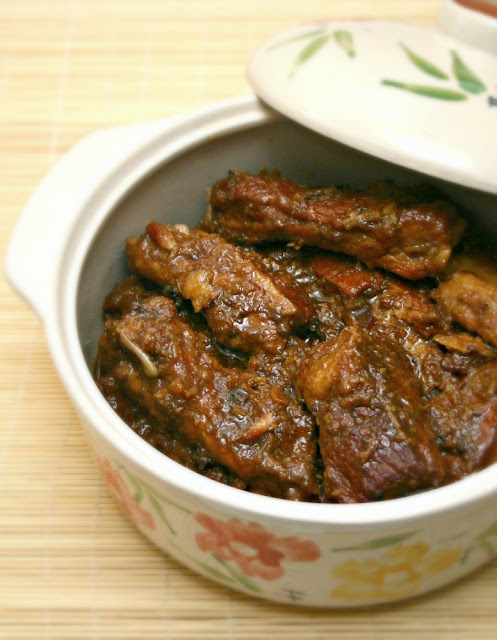 Best of all, these ribs cooked up in my slow cooker while I went about my day. I did spend about 20 minutes in the morning prepping the meat and putting the sauce together but after that, it was all on auto pilot. 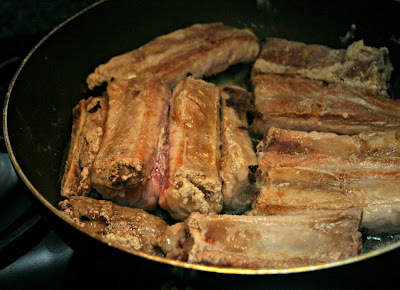 These ribs made for a fantastic dinner along with some sauteed green beans and steamed rice. Easy peasy. 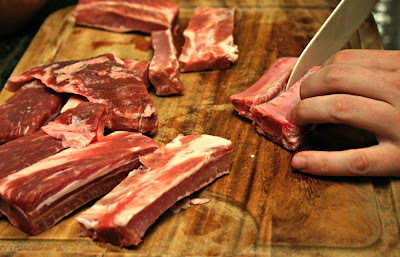 Wash, dry and trim the spare ribs then cut them into 1-rib pieces. 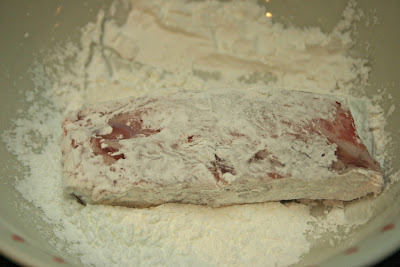 Coat each rib in flour or corn starch, shaking to remove excess. until browned and crispy on the exterior. rare inside but they'll finish cooking in the slow cooker. 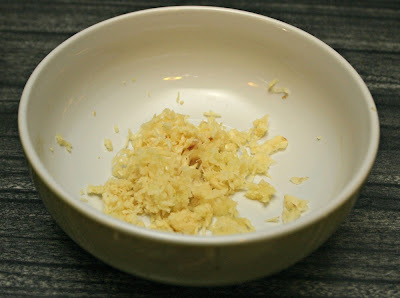 Peel the garlic and grate them finely. You can also do a fine mince. 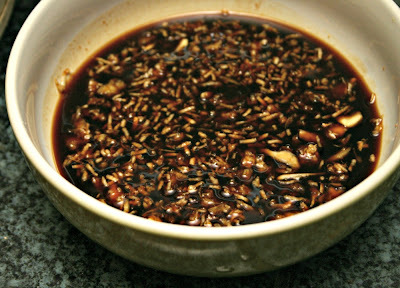 honey, balsamic vinegar and water. the sauce over it. Cook on low for 4 hours. top layer. 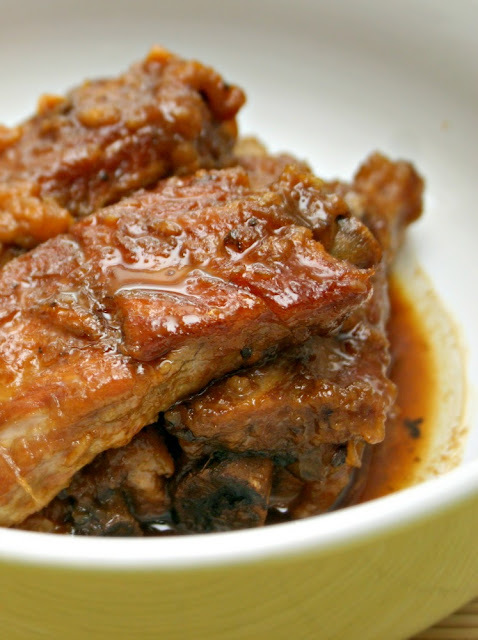 Pour the sauce over the ribs and serve immediately. 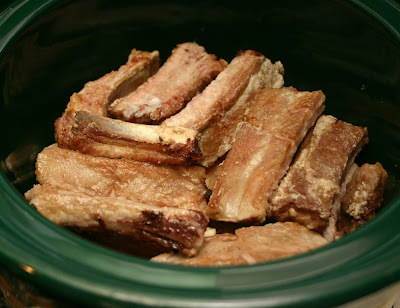 They are so soft and fall-off-the-bone tender and oh so garlicky. Absolutely divine when served over steamed rice! This was so good! Thank you!! !